The 2016 Libertarian party platform increased our vote share 328%. True, recent platforms cave to Dixiecrat and Republican race-suicide screaming compared to the pro-choice 1972 platform. But LP delegates in 2016 at least rejected the obnoxious anti-choice, force-initiating infiltrator and got us decent candidates. Nationwide, voters were pleased that the LP platform committee was finally understanding the definition of government, and rewarded us with four million votes. This was WAY more votes than the difference between God’s Own Prohibitionists and the Econazi-influenced, carbon-tax Democrats. The 2016 election earned the LP national spoiler vote status, making platforms contrary to ours likely to tip their candidates into the losers’ dustbin. The looter kleptocracy was desperate, until a single fifth-column infiltrator acted to save their jobs, pelf and boodle by turning donors, supporters and voters against the LP. The trick was to side with Democrats eager to import additional Saracen terrorists and People’s State looters into These Sovereign States and Dominions by calling such uninspected entry “open borders.” District court judges deem it a felony as of the second offense. My guess–judging from the graph above–is that this error probably became known in August of 2018. 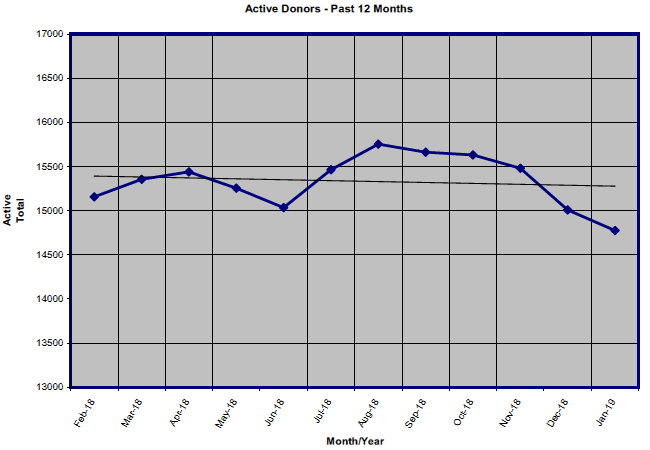 Sure enough, as of August, active donors, myself included, recoiled in horror and stopped pouring money and effort into an organization so easily duped into political suicide. What else happened? 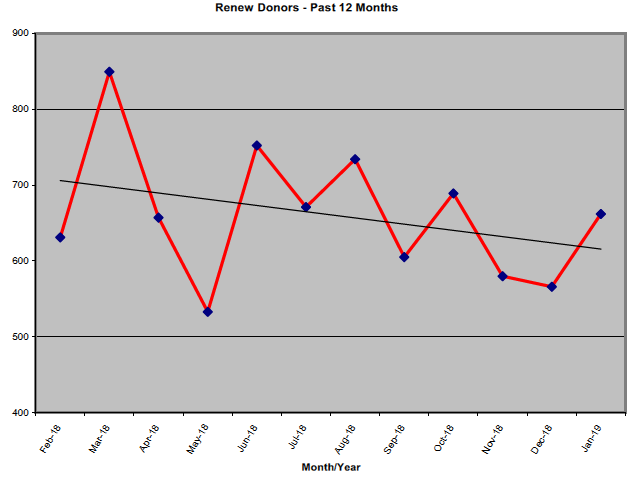 Libertarian Party donor renewals, which had been zigzagging upward–as you’d expect given the hockey-stick growth in our voters–began falling consistently as of August of 2018. Leaving aside the irrelevance and non-sequiturs rallied in support of amending the perfectly good 2016 border security plank into today’s counterproductive seppuko plank 3.4, the financial results couldn’t be clearer. The no-borders platform modification, intentionally or by error of judgment, has been as foolish a disaster as was ever injected into an LP platform since the child molestation planks planted in the 1980s. Entryism is a thing and security clearance forms make it clear that infiltation of government agencies is unwelcome. Indeed, political primaries are carefully organized to curtail infiltration by competing partisans eager to nominate the town drunk. The pattern is much like brood parasitism, in which cowbirds or cuckoos infiltrate their eggs into a nest. The eggs hatch and the parasites kill off the invaded species’ young, leaving the bereft to raise parasite fledgelings to maturity. Only about 10% of parasitized bird species are able to defend themselves by puncturing and/or ejecting the infiltrating parasite eggs. The Libertarian Party–torn between hawkers of “big tent” dilution and law-changing spoiler vote strategists–would do well to learn to identify nest parasitism and eject infiltrators and saboteurs. Governments do this routinely. The U.S. Government indicted Scientologist infiltrators and does infiltrating of its own. Awareness of this sort of thing is ordinary due diligence and vigilance. 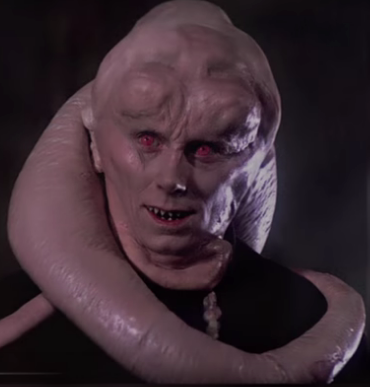 To outsiders contemplating the wreckage, the current LP platform committee looks a bit like a gaggle of intestines-for-brains parasite hosts. Thoughtful spoiler-vote libertarians can nevertheless rescue the party from ruin. For that you need only shift your support to your state and county Libertarian Parties. Donations to battleground state parties (New Mexico, Minnesota, Maine, Michigan, Colorado, nevada, New Hampshire, Wisconsin, Arizona, Pennsylvania, Florida, Virginia, Georgia) will economically gird us for battle during the shakeout of the national LP’s delinquency. Those Libertarian-friendly States manage 127 electoal votes. That strategy will put the Kleptocracy fifth column on notice that protagonists of individual rights have more sense than 9 out of 10 parasitized bird species. Visit my foreign blog, many secure borders away. Sinfest, by Tatsuya Ishida–no holds barred! MEMBERSHIP DRIVE-BYs: PLATFORM PLANKS & RESOLUTIONS adopted by infiltrators and useful idiots to drive away voters and supporters. These abound in political organizations. In Republican documents, lurid reefer madness propaganda and calls to arms for Girl-Bullying Amendment (ver. 8.0) are examples. Among Democrats, shrill misquotations of evasive pseudoscientific Doublespeak and mournful cries for new and higher taxes fill the bill. Both sclerotic looter gerontocracies with only coercion to offer seek to terrify voters by casting “the other” party’s candidate as the incarnation of Satan in cloven hooves. Ah! But this is what enables Libertarian spoiler votes to maneuver those parasites into letting go of their most obnoxious laws! To traditional looter kleptocracies, a key to enabling collectivism to keep on coercing is binary either-or framing: communist or fascist, left or right, Trumpista or Antifa! They NEVER publicly acknowledge the law-changing power of outside-party, neither-nor spoiler votes. This they water down by declaring themselves centrists, moderates, or some linear miscegenation of part-Hitlerite part-Stalinist policymakers–at least in America. Observe that U.S. looters focus on the job-seeking competition as the embodiment of absolute Evil and struggle to evade mention of law-changing libertarian spoiler votes. 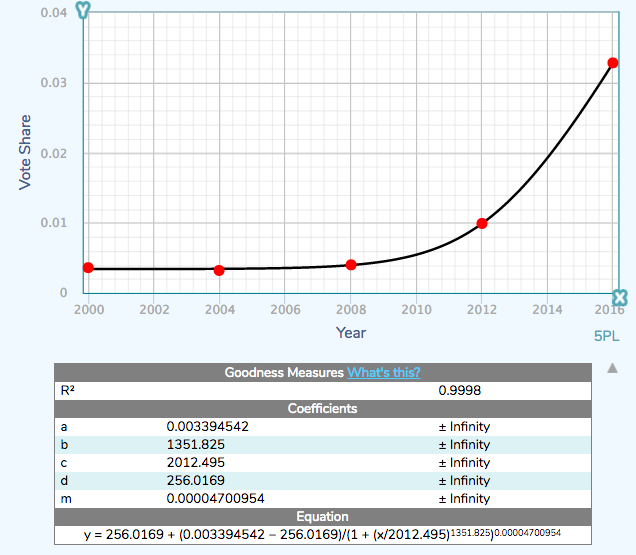 But the LP vote share is nevertheless increasing in hockey-stick acceleration! What’s a wilting Kleptocracy to do? Therefore, be it resolved, the Libertarian National Committee is committed to the widespread adoption and implementation of alternative voting methods to replace plurality voting elections. Normal voting has been the American system for over two centuries. If it’s bad, then why is it that so many people seek to flee here that there is a movement afoot to build a wall to keep them out? The US Constitution stipulates the weakest voting system? By what standard, or compared to where? Generally regarded by whom? Malta (Comstock law birth control bans. A “libertarian” club with an antichoice GOP poster-child). Of these 6 “superior” countries, only Ireland unequivocally recognizes the individual rights of women. So if the idea is a Catholic or Mohammedan theocracy, or an anti-industrial revolution, only then does gauntlet-glob voting look better than that in the Constitution of These States. Individual reproductive rights for women are impaired in 5 of these 6 countries. Observe also that there are no swarms of refugees trying to get into these six easily-gulled countries, or the six communist countries. Of people who vote with their feet, 97% prefer elsewhere. Not so fast! Libertarians are comfortable with 3% of the vote repealing bad laws that once coerced 100%. And we’re no more popular with the Great Brainwashed than the communists were before they put the Income Tax into the Constitution. Perhaps there is some hidden advantage to collectivized gang-votes? Is there an upside for 3rd parties that only the LNC, in its majestic ideality, was able to perceive? 3. It promotes a two-party system to the detriment of minor parties and independents. That anything this dumb can pass in the LNC is evidence of gross mismanagement and self-deception. Ask yourself: Is this likely to rally voters to our candidates? Cause thinking people to join and pay dues? Attract donations from intellectually honest individuals? Not from what I’ve seen lately. A typical email asking for money begins: Together, we’re forging ahead and navigating toward even greater accomplishments. Every step we take building party resources and infrastructure, all the hours of hard work put in by our dedicated volunteers, all the battles for ballot access and fair election procedures—(the message could end)… go down the toilet every time an infiltrator pimping for a hostile ideology penetrates the platform committee to poison our platform with nonsense! 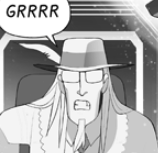 Today’s story is about a recent bit of… of what? sabotage to LP goodwill? clumsy incompetence? that could easily wipe out our 328% increase in ballot share earned in the November 2016 election. Knapp then lays on some self-administered back-patting, flattery, apocryphal storytelling, hortative pseudo-ethics, hearsay, but no factual data. Formulated on false premises and hearsay, Knapp’s entire argument is fallacious. Candidate Trump said he likes libertarianism and was overwhelmingly elected on the promise to build the Republican platform fence. True, Trump lost in the popular vote, but largely because the LP got four million of those votes–well over the Hillary-Trump gap. Trump’s most popular move was the entry ban on “individuals who pose a credible threat to security, health or property,” meaning suicide-vest terrorist ideologue brainwashees that crash planes into skyscrapers, machine-gun Paris nightclubs, run down pedestrians en masse in London, Nice and elsewhere, and today specialize in stabbing sprees much like the anarchist communists of a century ago–whose entry congress banned by law. As for borders, the first clear definition of government is an “entity which has a monopoly over the use of legitimate coercive power in a given territory.” Lack of borders typifies anarchy or war. Knapp proceeds to assert that based on his reading of “the public mind” and his unmeasurable perception of the motion of “America’s political center of gravity” the “principles” of the LP needed “to move.” Libertarian principles in 1972 supported “laws that prohibit trespass” and urged “the maintenance of a sufficient military establishment to defend the United States against aggression” including “sufficient nuclear capacity.” The LP does not even want to recognize totalitarian governments. Nowhere in the principles or planks on which the Party was founded is there any restriction on Knapp himself buying land on the border and declaring it an entry point for jihadists and locust-swarms of refugees from unlibertarian satrapies. Knapp’s arm-waving assertions as to bedrock LP principles are fiction. Knapp´s perceptions of principles only he sees, coupled with his public-mind-reading, his imaginary schedule of when things should happen and his sensing of massless gravity culminate in doublethink changes in the meaning of our original and recent platforms. His explanation? 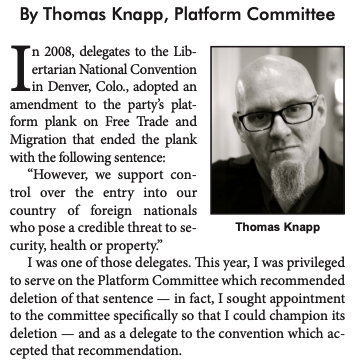 He “heard people.” Knapp claims he heard people “assert” that the platform plank he sought to savage might be invoked in support of a spurious and totally imaginary claim that the LP supports “collective immigration bans based on nationality, ethnicity, or religion.” Hearsay and fiction don’t get any more obvious than this. 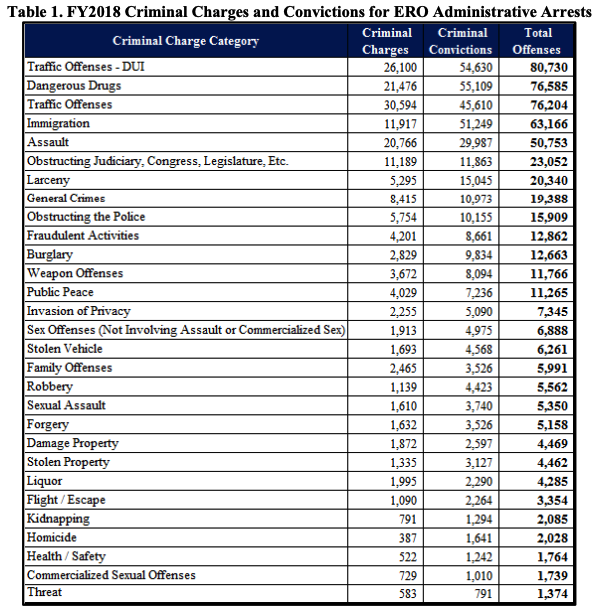 Enforcement and Removal Operations Report p 4. This is where el Presidente gets his figures. What has happened are visa restrictions against such People’s States as Cuba, Cambodia, Eritrea, Guinea, and Sierra Leone for refusing to accept back their nationals deported from the USA. Even those are not blanket visa restrictions, but country-by-country restrictions on the more troublesome categories of visas. These five exemplify the sort of country the 1972 LP platform urged us not to even recognize–much less reward with visas. But as long as we’re on the topic of threats, observe in the LP News article that Knapp postures defensively at imagined menaces to nationality, ethnicity, or religion, then warns that “my fellow Libertarians will never allow” the imaginary hearsay threat to materialize. Knapp boasts that the LP “never has” supported such fictional nonsense, which is true enough. But thanks to hostile infiltrators, nobody can say that no past LP platform has ever asked voters to enshrine molestation or child prostitution. Libertarian Party platforms and spoiler votes have overturned cruel laws banning birth control, interfered with tax hikes, and drawn the boiling wrath of fanatical looter ideologues. Naturally these ideologues will pass up no opportunity to sully our platform and make us look bad. Then again, we should expect no less–and certainly not expect honesty. Constant vigilance is due diligence. If in need of a translator or interpreter for Latin America, look me up. My other blog is foreign. Surrounding every small party dedicated to change–for better or worse–is a fog of panhandlers eager to bleed off donations. 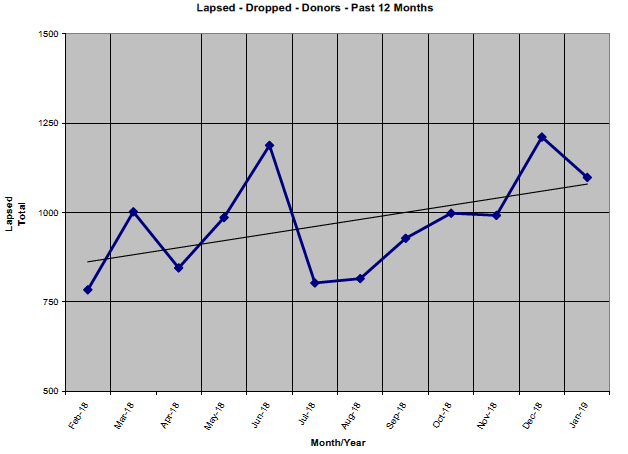 Those donations would otherwise go to the gatherers of leveraged, law-changing spoiler votes. FEE, the Foundation for Economic Education fits the profile for one of these panhandlers. Robin Koerner is a British-born recent convert to the USA. Like McAfee, a likable noob to whom the LP “owed” the nomination the same year he joined, Koerner has “answers.” But Koerner’s pitch is based on appallingly false, misleading and irrelevant suppositions. Foremost among these is Koerner’s view that ethics, law, history, economics and politics don’t matter, but pop psychologizing by an altruist from fascist Spain does. For guidance Koerner looks to a Franco-era mystical looter to whom life “is cosmic realization of altruism” (Ortega y Gasset, 2012:73). The Libertarian Party, on the other hand, asks us to sign a disavowal of fascist-style aggression. The disavowal was written by Ayn Rand in February of 1947. (Letters of Ayn Rand p. 366) That was back when altruistic fascist and nazi collaborators in Europe were kind of scarce because so many had been hanged by their former victims! Koerner’s is the thinking of marketing people in Dilbert cartoons. Koerner also believes grinning candidates matter–not platforms, that you should emulate whiners and that the medium is the message. Sound familiar? The premise–at least the part dense enough to identify–confuses a likable and successful single-issue lobby like UKIP with a political party. The conclusion is Koerner’s assertion that “…psychology must be the focus of any political party that is serious about doing what it is formed to do—which is win elections.” UKIP won because Brits finally understood that Brexit is the antonym of Anschluss! Having felt the familiar sensation of losing on their hides, Europeans now grasp the meaning of winning! Winning is ditching coercion and gaining freedom. It takes one to know one? Like any huckster, this one is attracted to marks, suckers, losers “despondent because 47 years says that your guy never gets elected.” The error is that the LP is not in business to support pop-psych cheerleaders or manufacture paycheck politicians. For 47 years the LP has changed hundreds of laws and policies so as to reduce the initiation of force. We WIN this progress with the law-changing clout of principled spoiler votes. We win because the looters that ignore us get beaten by looters less coercive. In its first campaign year the LP wrote the content the Supreme Court used in Roe v Wade to kill coathanger abortion laws. Does Koerner mention this? Democrats sure as hell don’t, but Republicans and Prohibition Party hucksters immediately drew up Constitutional Amendments to overturn Roe v Wade. To them the good old days were when a mail order diaphragm was cause for ten years in prison. They are STILL writing and pushing amendments to force women into involuntary labor. Prohibitionists with 1.4% of the vote (assisted by venal and cowardly looter politicians) passed the 18th Amendment and Marxist income tax which wrecked the economy and brought the Great Depression. This is the power of spoiler votes cast in support of a principled (albeit idiotic) stand. All we need do is let voters know that the button next to the ones they’ve been pushing will speed up the rate at which violent laws are repealed so that freedom replaces coercion and prosperity replaces debt. We are not despondent. We are winning every election. All four looter parties are shrivelling. The growing LP record of vote share fits a logistical substitution curve that indicates the LP (or its policies) should have half the total votes by 2075. Koerner’s whole message is designed to obfuscate that crucial point and lead confused customers down a blind alley. That the alley is full of muggers, pickpockets and predators is not news. The Human Rights Party–organized shortly before the LP (see top of this page)–found out the hard way. Its organizers knew nothing of the meaning of government or freedom, the nature of rights or the language of money! They are extinct, but the Libertarian Party is thriving despite the “help” of “friends” like Koerners and FEEs. If in need of simultaneous interpreting of the sort that made the Nuremberg trials of National Socialist war criminals possible, hire a Portugueseinterpreter. For general Latin American public faith translations visit Speakwrite. My other blog is Brazilian. Before 1972, everybody on the planet understood clearly that anarchism is a communist theory embraced by persons to whom the world owes a living. Anarchists naturally rely on the deception, coercion and deadly violence used in the collection of taxes as well as legitimate debts. With fewer than 4000 votes the Libertarian Party prompted secular looters to change their definition of “anarchism” and extended to pregnant women in These United States and Dominions the protection of individual rights against mystical Dixiecrat depredations. 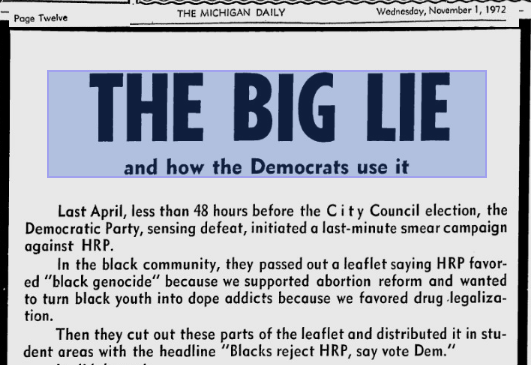 To George Wallace supporters the LP was clearly a nest of cleverly disguised commie atheists pressing for the racial suicide of white folks and obstruction of the Comstock Laws. Why? Because Ayn Rand–whose writings inspired the formation of the party–was completely non-superstitious–therefore a communist. After all, she even sounded Russian! The problem was how to keep the Libertarian Party option out of the sight of voters. Republican and Democratic soft machines had dealt with competition from communist anarchists back before socialism was associated with gulags, Siberia, mass starvation, censorship, concentration camps, firing squads, Auschwitz, Treblinka, Sobibór, Nowogrodek… Back in 1936 socialism and anarchism were associated with the fictional writings of the likes of London, Bellamy, Steinbeck, Howells, Goldman, Goebbels and Hitler–none of them Republicans or Democrats. 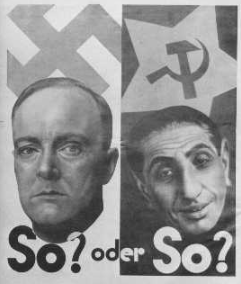 To guard against spoiler votes that might confuse the voters, the 1936 party faithful used the violence of local election laws to neutralize their socialist-anarchist competitors. Richard Nixon’s 1971 tweaking of the tax code had made tax money available for suppression of libertarian candidates. 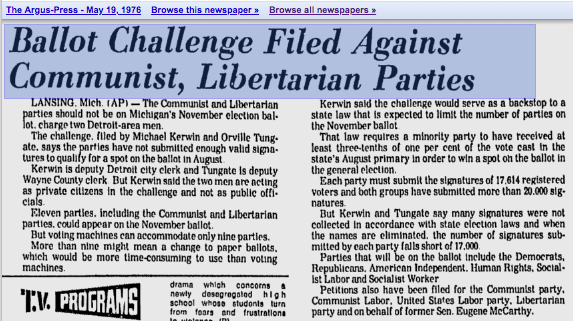 The media understood there was money on the table for anyone equating the libertarian and communist parties. Satisfying results appeared in print media before the next general election. Conscripts flowing into Southeast Asia meant coffins stuffed with young men who might otherwise have voted against the draft, religious sumptuary laws and foreign entanglements. Voter suppression was already a hardball racket back then, and rigged elections are still the norm. The suppression continues, of course, with millions kept from voting by grinding court cases and lengthy parole or probation terms over victimless plant leaves, stems, seeds and even roots! For 46 years Republicans have called libertarians anarchist liberals while Democrats struggled to lump the LP in with Republicans, Dixiecrats, religious Juntas and nationalsocialists in general without once referring to the party platform or pledge endorsing non-aggression. So how is this working out? We’re still here! Every bad law we cause cleptocracy looters to repeal is a victory for the voters. This is winning! Need financial, legal, mining or political translations? When one first discovers the Libertarian Party, the biggest surprise is the swarm of anarchists buzzing about the organization. These worthies rarely join and pay dues, to say nothing of making campaign contributions. The overall impression they produce is much the same as that of a swarm of flies–which is precisely the intended effect! 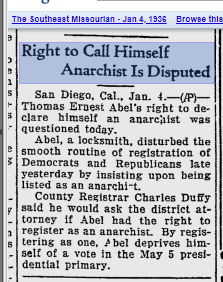 Not that there is anything new about anarchism. One quickly gets a sense of just how flyblown the theory is by searching the Google News Archive for specimens. Here’s one from 1894–the year a small communist party got 9% of the U.S. vote and cowed Congress into tacking Manifesto Plank 2 onto a tariff bill. 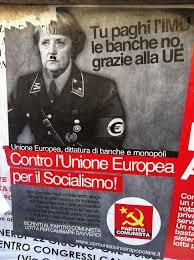 An aggressor fired a pistol at Italian Premier Crispi, missed twice and was overpowered by his intended victim. A few days later another anarchist social revolutionary shot and killed French president Carnot. Observe that neither anarchist raised a pistol on the field of honor; both instead ambushed unarmed victims. Crispi’s wannabee assassin, captured by his intended victim, begged for the death sentence. Hanging was deemed too good for him. Carnot’s murderer was decapitated–not without irony–using a good, old-fashioned, Red Terror guillotine. Garfield was shot in the back by a similar political parasite and McKinley’s anarchist murderer carried with him a dog-eared copy of Edward Bellamy’s “Looking Backward” translated into Polish. 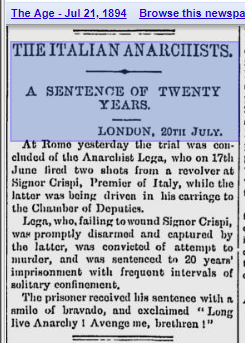 The general rule in these cases is that a sort of Transubstantiation occurs as the bullet leaves the barrel, such that the communist aggressor suddenly always was an anarchist. George Orwell illustrated the phenomenon, describing the way communists and nationalsocialists began French-kissing before the ink was dry on the Hitler-Stalin pact. In his novel Nineteen Eighty-four he again stressed how the faithful believed that “Oceania was at war with Eurasia: therefore Oceania had always been at war with Eurasia.” This is the method of inference that concludes that anarchists “are really” libertarians. Americans educated in the free market system weren’t susceptible to doublethink. Garfield and McKinley’s assassins were promptly tried and hanged on the tried-and-true theory that dead anarchist madmen did little additional harm. Congress showed showed how little sympathy there was for the anarchist push to decriminalize murder when it passed the Anarchist Exclusion Act in 1903. The Libertarian platform of 2016 contained equivalent language against importing “foreign nationals who pose a credible threat” until hostile (Republican? Anarchist?) infiltrators struck it out. The idea that an ideology of murdering madmen is compatible with the Libertarian Party is a 2+2=5 equivocation. Membership requires signing the Non-Aggression Principle penned by Ayn Rand in 1947, while hangmen were still busy cutting down murdering altruist National Socialist madmen at Nuremberg and other venues. 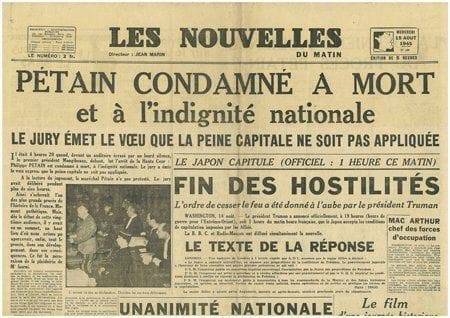 In 1947 everyone recalled clearly that competition in the forcible restraint of men is War. The Libertarian Party is concerned with freedom and peace. Any argument that our platform is compatible with murder-legalizing anarchism is a division-by-zero error. 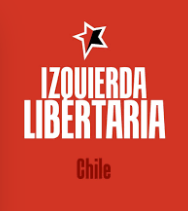 Yet in Peru and Chile today there are anarchist communists blatantly posing as “libertarian” parties. Libertarian candidates seek a constitutional government empowered to enforce laws protecting individual rights from theft, fraud and aggression. This is what anarchists are AGAINST or there would be nothing for them to criticize in the LP platform. What we regard as the rule of law they see as obstructions interfering in the labor of murderers and highwaymen. The fact that most parties corrupt government power to put into practice the ethics of parasitism is all the more reason to distance ourselves from the anarchist branch of that same philosophy. With friends like anarchists, freedom needs no enemies. For certified or juramentada translations or interpreting contact Portugueseinterpreter or Speakwrite.